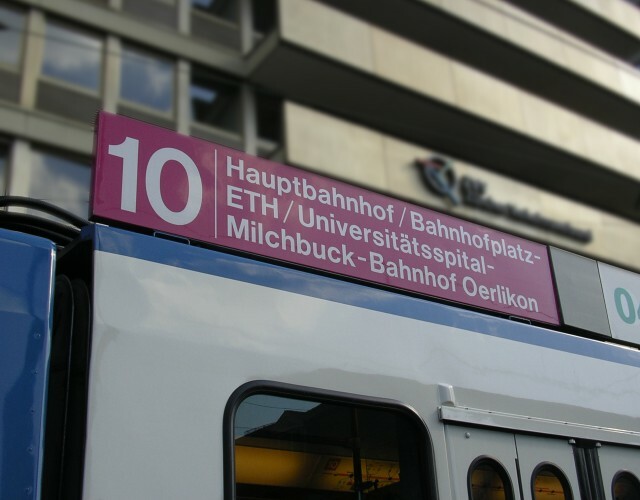 The coloured boards on the rooves of Tram 2000s indicating the route number and principal destinations are soon to be replaced by window-mounted electronic displays (similar to those used on Cobras). The Mirages will retain their boards until withdrawal. The decison is justified by the introduction of real-time passenger information displays. Roof boards have been used since the early days of trams in Zürich. This news item is from the 2007 newslog.